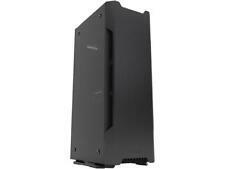 Learn more aboutCorsair SF600. Haswell Support. 80 PLUS GOLD Certified. Safety and Agency Approvals: FCC, ICES, CE, UL, CUL, RCM, TUV, CB, CCC, BSMI, EAC, RoHS, WEEE, RoHS (China), KC. Maximum Power. 1 x Motherboard cable (20 4 pin) 1 x CPU power Cable( 4 4-pin, works as either 4 or 8-pin) 2 x PCIe 6 2 pin (GPU) 4 x 4-pin peripheral cable 4 x SATA cable.